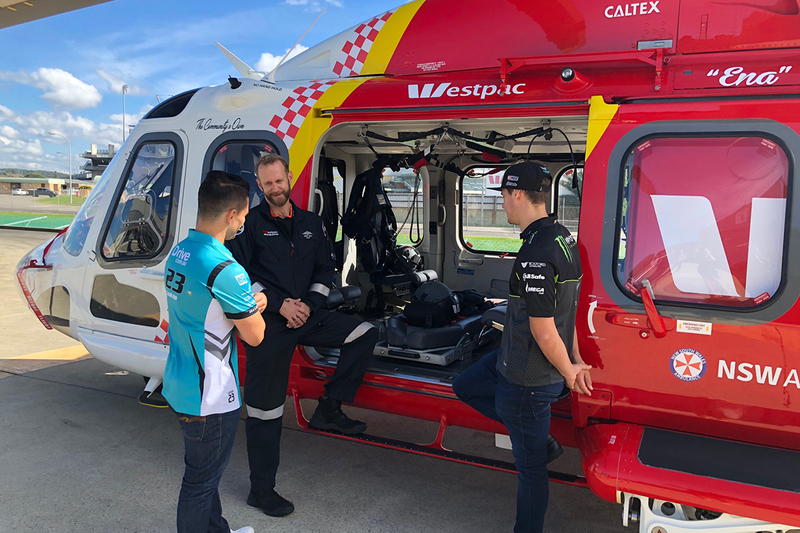 Supercars has announced the Westpac Rescue Helicopter Service will be the official charity of the 2018 Coates Hire Newcastle 500. Following a successful partnership during the inaugural event, Supercars’ support will continue through the 2018 season finale on November 23-25. Last year’s maiden Supercars event in the city attracted 192,000 to Newcastle’s foreshore to watch the stunning conclusion to the title fight. Newcastle Event Manager Kurt Sakzewski says Supercars is delighted to again partner the iconic search and rescue service, which has helped to save thousands of lives across Newcastle, the Hunter Region and throughout Northern New South Wales. "The Westpac Helicopter Rescue Service provides an invaluable service to the local and wider community,” Sakzewski said. “The men and women in this team who put their lives on the line to save others are true heroes. “We have a great relationship with the Westpac Rescue Helicopter team and we are delighted to again be assisting with fundraising activities and awareness. “Every dollar raised through experiences at the Newcastle 500 can contribute to keeping this operation growing and flying as a free service 24-7. Westpac Rescue Helicopter Service CEO Richard Jones said the organisation is delighted to be involved as the charity partner for the 2018 Supercars event. “The funds raised in the lead up and during the event will help us to continue flying as a free service in our community 24 hours per day, 7 days per week,” Jones said. “This year the Service is expected to assist close to 2,000 people throughout Northern NSW, with missions ranging from important inter-hospital transfers to assisting people injured on the roads, workplaces, in the ocean, on farms and in the bush. 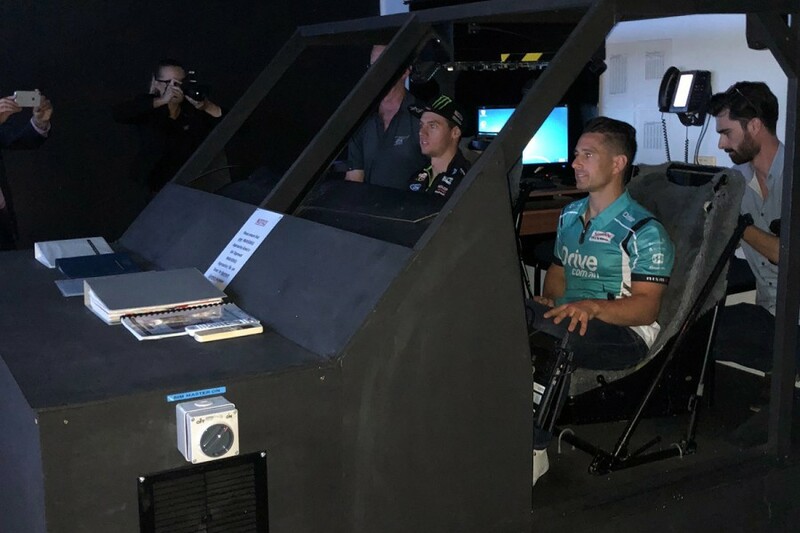 Supercars drivers Michael Caruso and Cam Waters attended Tuesday’s launch at the Broadmeadow base, where they were given a tour of the facility, and tested the flight simulator. “Hearing that they undertake thousands of missions each year, it’s incredible to find out just how many people thy have rescued,” Waters said. "What an amazing set-up the helicopter has with all the medical equipment that can save lives in transit," Caruso said. “I'm proud to be part of a sport and category that is getting behind such an important community service." The 2018 Coates Hire Newcastle 500 will be held on the streets of Newcastle’s CBD on November 23-25. Tickets will go on sale exclusively to the local community this Saturday, April 28, at the Community Fun Day. The inaugural Community Fun Day in 2017 attracted over 10,000 fans with another strong crowd expected this year. Tickets will go on sale publicly on Sunday. KOFM will be broadcasting live from the Supercars Community Fun Day, being held from 10am-2pm at Civic Park. The Coates Hire Newcastle 500 was secured exclusively for Newcastle by the NSW Government via its tourism and major events agency, Destination NSW, in partnership with Supercars Australia and Newcastle City Council. For more information, click here or head to the event’s dedicated Facebook page.